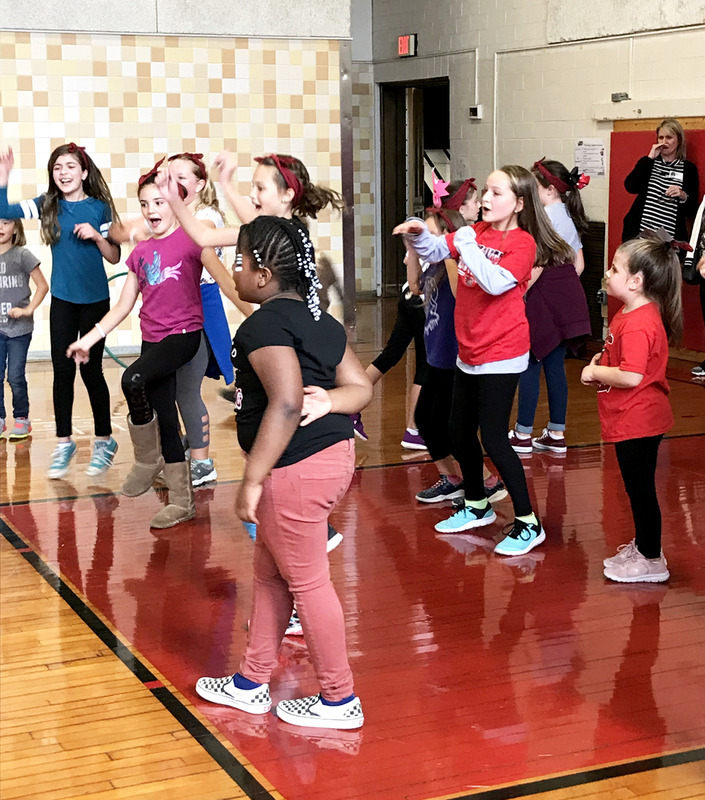 Bellefonte Elementary students jump, shout and dance during the school’s first ever mini-thon spearheaded by fifth grader Brooke Whitman. When Brooke Whitman heard about the mini-thon event last spring at Bellefonte Area High School, she knew she wanted to do one at her school, Bellefonte Elementary. It was done as a way to help give back to the community, while making sure she did something memorable in her last year before entering junior high.More than 100 students participated in the inaugural event that included dancing, games and other activities. More than $6,000 was raised for the Four Diamond fund during mini-thon at Bellefonte Elementary School. It was a smaller version of the IFC/Panhellenic Dance Marathon hosted annually by Penn State that raises money for the foundation that supports those affected by childhood cancer. The elementary school’s event was even verified by Thon at Penn State and given approval to sell items with the Thon and Four Diamonds trademarks.